When people hear of something new—a product, business, celebrity, book, or author—what’s the first thing they do? Get online and find out more. Just like judging a book by its cover, people judge authors and books by their websites. That makes effective web design another way to prove to readers that your work is worth their time. There are many other ways to find a web designer. Start with referrals from other writers or by tracking down the designers who created websites you love. The Graphic Artists Guild also has listings of web designers to help you find the right fit. You can also find web designers on LinkedIn, or you can post an ad on Craigslist or Elance. If you’re on a tight budget you can hire students at a local design school. What you can expect to pay varies, of course. Some of the factors that influence price include the complexity of the site, number of pages, type of artwork, and overall level of customization. The designers below have a wide range of services basic website design beginning around $450 to $1000 for simple, template-based sites to completely customized websites starting around $2000 to $3000. Some are higher, some are lower—but a good price doesn’t necessarily mean they’re a good fit for your site. DO make sure your site has a search box, social icons in the top header, a strong and consistent logo/brand throughout, share icons on the bottom of each blog post, categories for blog posts to allow users to find the topic of choice, and a blog post signature. Choose a topic or theme for your blog/website and stick to it. DON’T change your website design, layout, or brand/logo more than once a year; it will confuse your readers. What platforms, widgets, plugins, or other tools do you recommend? Platform: Genesis by Copyblogger, Studiopress.com themes. Plugins: ShareThis, CommentLuv, MailChimp, JetPack for WordPress.com, WP-DB Backup, WP125 for Ad Spaces, Antispam Bee. DO invest in your blog design, whether it be modifying a pre-made theme or having a completely custom design built. Readers are much more likely to stick around if your content is easy to find and aesthetically pleasing. Do make your content the focal point. Good design should enhance your content, not take away or distract from it. DON’T use small type (16 pt. or above is recommended) or flash. Flash websites are often times not viewable on mobile devices and even some home computers as well. I highly recommend, and use myself, WordPress as a platform to build your website and blog. I also highly recommend the Genesis Framework for WordPress (an explanation of Genesis Framework). It is all I use anymore and cannot imagine working without it. Your favorite website you’ve worked on: TheTomKatStudio.com. The owner, Kim Stoegbauer, and I just clicked and have similar style, making the project more fun than work. DO make it easy for your readers to connect with you. A great way to build your readership and your target audience is to be somewhat accessible—not overly accessible because you don’t want to create an email nightmare for yourself. One great way to do this is by offering virtual book club readings via Skype, FaceTime, or a Google Hangout. This will encourage more people to buy your book and read it and put you in direct contact with your fan base. Take the time to figure out your long-term goals before designing and developing your site. DON’T forget that your visual presentation of yourself and your books is just as important as your incredible writing. Because authors are so literal it’s sometimes a challenge for their visual representation to match the caliber of their writing. On the web it’s important for both to be in alignment with one another. WordPress is the best content management system out there for authors. It’s a fairly easy system to update on your own without needing the help of anyone techy. You can easily add images, photos, or video to blog posts. WordPress is very Google friendly and also very flexible, so if you want to add a page to your site later on, it won’t require an entire redesign. Use a social media share plugin so your content can easily be shared. Also, don’t forget to use video—either for your book trailer or even of yourself talking about your book. Video is an extremely powerful tool to use in connecting with your audience. The most effective website you’ve seen—but not worked on: StartWithWhy.com. I love the design. It’s smart and it pops. Notice the ability to tweet the header copy on every page? It’s a brilliant use of space and makes the author very quotable. The site totally positions the author as an expert right on the homepage. The book is easy to buy as well as some of the author’s other offerings. Your favorite website you’ve worked on: http://www.EleniGage.com. This website captures the author’s personality, interests and essence. The pomegranate logo has an entire story behind it in Eleni’s personal life and her strong Greek roots. The mosaic in the logo pays homage to Eleni’s love of Byzantine iconography. The writing is top-notch and the design highlights the writing without the content overwhelming web audience. The author’s books are both visible and easy to buy directly from the homepage without it appearing to salesy. As you can see from the social media icons and the contact page the author is accessible but not overly so. In many ways blogging comes naturally to writers. After all, writing is writing. But in other ways, when you take writing off the page and put it on the Web, it becomes a whole different challenge—one that carries rewards for both novice and experienced authors. On and offline, focused content is central to writing. Freelance writer Kelly James-Enger says, “Make sure you’ve identified the your audience and your purpose before you jump in [to blogging].” That way readers know what to expect when they visit your site. “There’s nothing wrong with blogging because you’d like to write and sell a book,” she continues. Author Lillian Brummet highlights an aspect of blog writing that is often different from the topic-focus required by book writing: content variety. “Make your posts interesting and change it up a bit so that you don’t appear boring and repetitive.” To balance the variety with reader usability, use tags and categories to help readers find information on a given topic—much like the index of a book. Similar to finding the right pace in fiction, timing is a challenge bloggers face—how frequently should you post? First, Brummet says, “Choose the frequency you plan on having posts published on your blog and stick to it—this way readers know when to expect new content.” It also helps you as an author manage your workload and define your expectations. With built in page layout in popular self-publishing options like CreateSpace, many authors don’t consider DIY page layout methods and software. But for those publishing through many POD providers, page layout is a must. Proper page layout ensures that the book has the consistent margins, paragraph and character formats, and readable type. Here’s a rundown of some of the most popular tools for page layout. Most of this product advice is geared toward print publishing, as ebook formatting has its own characteristics and challenges. InDesign is far and away the favorite of graphic designers. It has industry-leading features for producing high quality print and digital books. As a result many authors conclude, if you want your work to look professionally designed, use the tool of professional designers. But if you’re not a graphic designer, you may have some learning to do in order to fully utilize InDesign. Ken Chapman, Publisher at League Entertainment, Inc., says, “For layout and ebook production, we use Adobe InDesign CS6. If you don’t know how to use it or want to become more proficient, I highly recommend getting a subscription to Lydna.com.” Adobe TV also provides tools and instruction. Page Plus from Serif is an option that has a beginner friendly cost and usability. It works well for print or digital publishing. Microsoft Word and Apple Pages are both word processing tools that support desktop publishing. For authors looking to format books for e-publishing and print on demand, both products have similar features and strengths. Both are best suited for heavy-text, hard copy books, though they can also be used for e-books and books with images. In her book The Indie Author Guide, April L. Hamilton explains step by step how to format a book in Word—the same concepts apply to Pages. Hamilton recommends creating a manuscript shell, a template file that contains the paragraph and character styles, margins, page break setting, and more. After creating the template, authors can compose each section of the book in a copy of the manuscript shell file or import their text into the shell. Having a manuscript shell ensure that formatting is consistent throughout the book. There are other options, of course, all across the word processor and publishing software spectrum like Scribus (free), PageFocus Pro ($69), Page Stream ($99.95), Corel WordPerfect ($99.99), Corel Draw ($399), Adobe PageMaker ($499), Creator Professional ($499), Microsoft Publisher ($499.99 with Office Professional), Corel Ventura ($699), QuarkXPress ($849), and more. What do you need the software to do? What functions are most important? What technological skills do you have—and how much are you willing to learn? Read consumer reviews: Does the product keep its promises? Find author laid out books you like: What program did that author use? Are the strengths and abilities of the program compatible with your end goal (the type and format of the book you’re producing)? Find authors who’ve used the program to create their books and see what they say—they’ll have even better insight than the general customer reviews. When people cite examples of successful self-published authors, they often draw from a short, oft-repeated list: Amanda Hocking, JA Konrath, or more classic authors from William Blake to Virginia Woolf. Certainly these authors are all accomplished, but looking at a broader sample of successful authors can better equip today’s self-published authors to replicate others’ successes. Here are the stories of an assortment of authors who have achieved a variety of kinds of success through their self-published efforts. Compare their characteristics, strengths, and goals with your own to plot your own track to success. Robin Sharma used his book The Monk Who Sold His Ferrari, originally published through Haunsla Corporation, as a calling card for his leadership consulting business. With a cover designed by Dunn+Associates, he shopped the book around to major publishing houses, securing interest from five of the Big Six, according to Hobie Hobart at Dunn+Associates. Sharma accepted an offer from HarperSanFransico and has gone on to traditionally publish more books based on the success of The Monk Who Sold His Ferrari. Halstead’s next book Primal Cuisine, Cooking for the Paleo Diet will use another type of powerful partnership: it will be a companion to Primal Body, Primal Mind by Nora Gedgaudas. “Nora was my nutritionist when I lived near Portland in 2009. We became friends, and when she republished her book through Inner Traditions & Bear Company, I was invited to publish my new book with them as well. Educator Ruby Payne‘s book A Framework for Understanding Poverty took hold of readers, particularly in the education field. Through its unique insights and her speaking engagements, the book gained popularity and was adopted in college courses. Along the way, Payne enlisted Dunn+Associates to perfect the book package. A new cover gave the book a more professional look. According to Hobart, the demand for the book grew so much that Barnes and Noble approached Payne about stocking the book. In all, the book has sold about a million and a half copies. Payne presented one of her follow up books, Crossing the Tracks for Love, to Dunn+Associates. The team worked to craft an effective title (it was originally titled When the Girl with the Silver Spoon Loves the Boy from Across the Tracks) and design to keep the book from looking like a cross between a romance novel and a reference book. They wanted the book to be authoritative but for the title to create an immediate emotional response in readers. The often-compound purposes (or even genres) of many self-published books make framing readers expectations a challenge. Payne used a professional team to prevent reader confusion. Lela Davidson is a former CPA who left the business world behind to write humor. Her book Blacklisted from the PTA, a collection of comedic essays, has led to “healthy sales, speaking engagements, and new and improved freelance work”—she’s a commentator for TODAY Show Moms and a video correspondent for iVillage iVoices. “The key elements [to success] are approaching the book as a business, and working very, very hard and consistently to promote it. I had a fabulous launch party that drove sales and buzz,” says Davidson. “The thing that helped me the most was setting measurable business objectives and then working backwards to think through the steps I needed to take to make them happen. For example, at the book launch we wanted to sell a certain number of copies and garner a certain number of press impressions.” Davidson’s business perspective never loses sight of its end customer: readers. “They aren’t going to buy my book just because it’s good. I need to keep giving them specific reasons to buy my book,” she says. As a result of her hard work and success, Davidson acquired a literary agent to represent her future work. Steven Power was a sales trainer and consultant with well over a decade of experience in the document industry. His consulting took him around the country, teaching and training sales professionals. In an effort to minimize his time on the road, Powers wrote a book—Power Selling. The cover was designed by Dunn+Associates. According to Hobart, they chose to feature Power’s image prominently on the cover and tie the whole packed tightly to the branding on his website. This unified, author photo–focused approached helped establish him as an authority in the sales training industry. Powers took the book further through intentional marketing efforts. Powers used the book itself as his business card. Hobart says Powers once found himself seated next to the CEO of Salesgenie on a plane. Powers gave him a book and scored two referrals through the encounter—resulting in $350,000 worth of business. Like it or not, people do judge books by the covers. And poor cover design is one of the areas where self-published authors are most often panned by critics. Self-published authors know this risk, and they know one of the keys to a good cover is a good designer. According to a survey from Taleist, 41% of self-published authors pay for cover design. The survey also shows that authors who get help with editing and design of their books make 34%—so the investment pays off. Below is a list of graphic designers who have experience designing book covers. Each has unique strengths and styles, and they range from independent artists to members of larger design groups and publishing organizations. Each shares their advice for authors and a bit about their work in their own words—and they almost unanimously bristled at the “favorite cover” questions. They’re listed alphabetically by first name. There are many other ways to find a book cover designer. Start with referrals from other writers or by tracking down the designers who created covers you love. The Graphic Artists Guild also has listings of designers to help you find the right fit. You can also find designers familiar with book cover design on LinkedIn, or you can post an ad on Craigslist or Elance. If you’re on a tight budget you can hire students at a local design school. So how much can you expect to pay? It varies—of course. Some of the factors include who owns the rights to the art, how many sketches and revisions the designer will do, the complexity of the project, whether it’s a paperback or hardcover or ebook, and more. The designers below have a wide range of services from an ebook cover for $395 to original art for $3500. On average (a rough average) an author can expect to pay around $800 to $1000 for a cover by one of these designers. Some are higher, some are lower—but a good price doesn’t necessarily mean they’re a good fit for your book. DO find someone who’s familiar with your genre. There are some genres I don’t do—like romance. My style just doesn’t work for that genre. DON’T forget that you hired the designer because they have some knowledge or skill that you need—give consideration to their advice. Favorite book cover: Anne McCaffrey’s Dragon Song and The Sisters Brothers by Patrick DeWitt. Favorite cover you’ve designed: That One Left Shoe, edited by me, and Furred & Feathered Friends: Katrina Castaways by Nancy Clark Townsend. DO have a clear idea of what you’re looking for in a book cover. Do you want it to be serious, whimsical, authoritative, badass, conceptual, energetic, modern, clean, grungy, etc.? Have examples available of covers or design styles that you find effective. Your designer will be able to hit the ground running and dive right into the project. DON’T assume it’s a good idea to include family photos on the cover of a book. Trying to make something personal may appeal to you but not necessarily to the masses. Even if you don’t have family photos in mind, don’t let personal attachments to certain elements get in the way of a marketable cover. Favorite book cover: I love what Penguin and B&N do to reinvent classics. Favorite cover you’ve designed: Currently Where Do You Get Your Ideas by Fred White is my favorite cover. It changes daily. DO provide the right information during the briefing process. Providing too much information for the designer is almost as bad as not providing enough. Other than the basic storyline, the most helpful information to provide the designer is an idea of the tone of the cover—do you want to convey mystery, humor, fear? It also helps to provide samples of other covers that you like. If you have a main character who you would like to be on the cover, then you must describe that character as fully as possible but allow for the fact that it may simply not be possible to find the exact image of the character that resides in your imagination. DON’T clutter the cover with your entire storyline. I get this pretty often, where the author wants to tell the entire story on the cover. It’s never a good idea, as it makes the cover too busy and loses focus. Ideally, you only want to hint at the story, while conveying the genre and tone of the book on the cover. Actually, that’s one way where you can often see the difference between traditionally published and self-published authors, just from the covers. The well-known authors almost always have a very simple, powerful image with clean, well-placed text. Self-published authors often have busy, overly detailed covers and far too many focal points. Favorite book cover: One of my clients recently sent me the cover of Frost by Marianna Baer as a reference for a design—I think it’s beautiful. Favorite cover you’ve designed: I don’t have a favourite cover that I’ve designed. In most cases, as I finish designing a cover, I love it. Every new cover I design becomes my favourite until I finish the next one. DO find out whether you’re talking with a designer or a software owner. Everybody with Photoshop and a computer calls themselves a designer, but bootlegging the latest version of Photoshop is not much of a qualification. Do ask the designer if they’re familiar with electronic prepress; they’re going to have to make sure the design is produced to the printer’s specs. Ask if they have favorite styles, designers, and typefaces. A good designer can explain these tastes and choices. DON’T tell the designer what to design. Some people will tell their dentist what drill bit to use! Of course, your input counts, and of course, your designer wants you to love the cover, but allow a professional to guide your design away from comfortable clichés. Find someone good and then trust their instincts, experience, and advice. 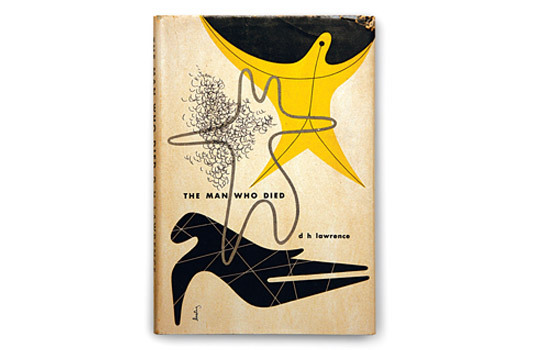 Favorite book cover: Though I don’t emulate his style, I love the innate spirituality of Alvin Lustig’s work, like The Man Who Died. I also like Chip Kidd’s cover for Dry. DO know what you want for your cover design with a good feel what covers in that genre look like, and then be willing to let the cover designer have a little freedom and listen to their suggestions. Also be sure to look through the designer’s portfolio to be sure their style matches your vision for the cover. Favorite book cover: As an illustrator, I’m biased: The Michael Whelan cover created for Robert Heinlein’s Friday. Favorite cover you’ve designed: My favorite illustration (but I didn’t do the cover layout) is Dale Allan’s Lead Me Not Into Temptation. I illustrated and laid out P.J. O’Dwyer’s Relentless. DO check references. Lots of people can draw and paint—big deal. Unfortunately, it’s easy to spend a lot of money and get literally nothing in return. Especially important is the artist’s track record on meeting deadlines. An unreliable artist won’t be able to provide any proof that they can do what they say, when they say they can deliver it. That’s a big red flag. Favorite book cover: The Michael Whelan cover for Stormbringer by Michael Moorcock. Favorite cover you’ve designed: I make it a point for each cover I do to be better than the last, but I’m still fond of the Simon Vector cover and Correction. DO find someone with experience (several years) in the book design field. They should understand the nuances of creating a cover design that gets results from a specific chosen market, not just make something look pretty. For example, if the author’s purpose in creating the book is to generate more business, the designer must understand how to use the cover design to establish credibility, open doors, and create results and totally resonate with the target audience. DON’T be lured by a low design cost. It usually means that a template is involved and the designer is cranking out a “look-alike” not a custom design for your book that will set you apart from the rest. Or that you’ve chosen a neophyte who is using you to gain experience. Or your cover is spit out as quickly and cheaply as possible with no thought about the author’s objectives in writing the book. Cover design is the most important investment you’ll make in your book since the cover is your most important marketing tool, so it is the last place to cut costs. You get what you pay for! Favorite book cover: The Night Circus by Erin Morgenstern. Favorite cover you’ve designed: The Monk Who Sold His Ferrari by Robin Sharma and Crossing the Tracks for Love by Ruby Payne. DO find someone with considerable experience both in book cover design and marketing—if you’re interested in actually selling thousands of copies of your book and making an impact on your book’s market niche. Just because a designer can put what you want on a cover doesn’t mean you’re getting the book cover you need to sell your book. Find someone who connects with you personally, connects with your book’s subject matter, and can bridge the gap between your vision for your book cover and a saleable book cover. DON’T price shop your book cover, unless it is simply a vanity project that will be given away to family and friends. You will never know the negative impact that a cheap book cover has on your sales! Don’t take the risk. Here’s a good metaphor: Your book is your child. Would you put a generic, bland, or awkward face on your child, or take the time and care to craft a face for your child that is unique to them and tells everyone their personality and purpose? Favorite book cover: Where I Was From by Joan Didion. Favorite cover you’ve designed: Intuition Involution, Activating the Promises of God, The Agony of Winning, and Performance Under Pressure. DO find someone who is experienced and familiar with your genre. Book cover design is a breed all its own and not every graphic designer will understand publishing and the constraints that come with it. Make sure the designer you hire has a book cover portfolio for you to review. This will be the best way for you to find out if their style matches yours and if their quality of work is at the level you expect. Make sure you sign a contract with your designer that states exactly what you are paying for. Some designers only allow so many rounds of changes and anything beyond that will be extra. You don’t want any surprises when you get a final bill, and you don’t want to pay for half up front and then your designer disappears and never sends you the files. It’s best to have everything in writing. DON’T forget you always get what you pay for. Sometimes it’s wiser to invest in a designer who costs a little more. Usually they will have more experience and a better understanding of what you need. Favorite book cover: I’m in love with the line of classic book covers Jessica Hische came up with for Sterling Publishing. There is so much you can do with typography and printing to make your cover really stand out. Favorite cover you’ve designed: Elegant Knotted Jewelry and Sell Your Book Like Wildfire. DO find a book designer. Make sure they have designed many books of all genres and types (paperback, hard case, dust jacket, etc.). Contact the authors for additional feedback. Word of mouth is valuable for a book designer, his/her work must represent the best of the author as well as the best of the designer. DON’T hire a graphic designer or anyone who is just playing around with Photoshop and does not consider this as a profession. There are a lot of details and tricks to producing a well published book. A graphic designer may not know these tricks resulting in a book that looks self-published or rejected from press for not following their guidelines. Favorite book cover: Anthony Burgess’s A Clockwork Orange cover designed by David Pelham in 1972. Favorite cover you’ve designed: Nightmares from Eberus by J.C. De La Torre. DON’T ever let your second cousin, twice removed, create your cover. No matter how much money you think she is going to save you. If you want to have a bestselling book, your cover must look like a bestseller. Don’t base your decision on price. Period. Even if you have to save up for a year, your cover is worth it. And most good designers are aware that budget is a concern for self-pub authors and are willing to work out payment plans. So you skip your favourite coffee house a few days a week and save up your pocket change. Favorite book cover: This may sound corny, and oh so teenage girlish, but I really love the simplicity of the Twilight series. I always find that the book I’m working on at the moment seems to be my favourite, but I still like The Everdark Gate by Elisabeth K. Burton and Rising Above Enron by Carey Falter.